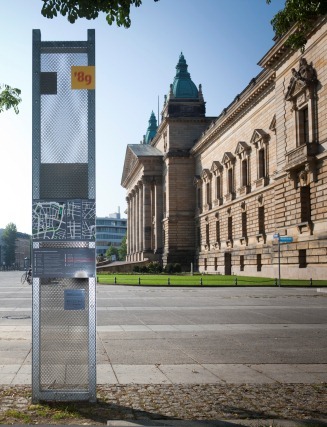 The call of the Monday demonstrators "Allow New Forum" stood for the core demand to introduce democratic structures in the GDR. On November 8, 1989, the SED had to bow to the pressure of the street and legalized the New Forum, which was followed shortly afterwards by the groupings Democratic Awakening, Democracy Now, the Social Democratic Party and many others. Thus for the first time the block-party system of the SED had a legitimate opposition. 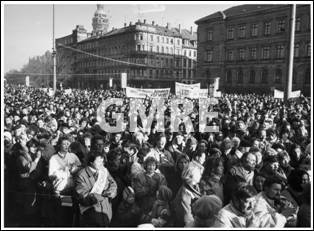 Already on November 18, 1989, the New Forum organized the first approved protest rally in Leipzig in today's Simsonplatz. Well over 10,000 people from various districts responded to the call. The arguments in the speeches covered topics from far-reaching reforms of socialism to control or even abolition of the Stasi (State Security). The rally lasted about three hours – during which despite the sunshine the participants endured the bitter cold. The event was deliberately organized as an open forum. Speakers from different political persuasions were invited.